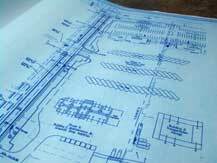 Associated Systems of Georgia, Inc. can help you design Fire and Security Solutions. Our expertise with products, code and implementation, provide you an effcient code-compliant architecture. DESIGN – We will design a scalable fire and security system that best fits your needs and budget concerns. INSTALLATION – Your system will be installed by our experienced and certified alarm technicians. MAINTENANCE – The system that we install can be inspected annually by one of our specialist engineers.